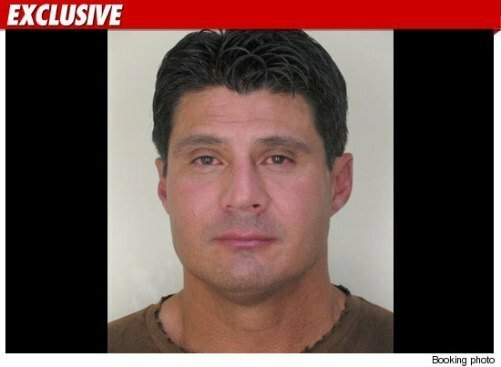 Osvaldo “Ozzie” Canseco, twin brother of Jose Canseco, was arrested early Saturday morning and book on charges of driving under the influence. According to the Hillsborough County Sheriff’s Office police report, Canseco was busted in Tampa, FL at 2:13 a.m. after he was found to have a blood alcohol level of .109/.108 – the legal limit in Florida is .08. This is not the first time Ozzie Conseco has encountered legal problems. In 2002, he pled guilty to charges stemming from a nightclub fight that occurred on Halloween night of 2001, when he and his Jose beat up a couple of tourists in Miami Beach; one was left with a broken nose while the other required 20 stitches in his lip. Ozzie was charged with two counts of aggravated battery and ultimately sentenced to 18 months probation, anger management classes, and 200 hours of community service. Jose received the same punishment. On May 1, 2003 Ozzie was pulled over by police because the tinted windows of his Lincoln Navigator were too dark. While conducting a search of the SUV, officers found the steroid Nandrolone and a syringe. Canseco was sentenced to four months behind bars for driving on a suspended license and possessing an illegal anabolic steroid. Ozzie Canseco had a brief major league career, playing in 24 career games with the Oakland Athletics and St. Louis Cardinals between 1990 and 1993. In 1991, he played in Japan for the Kintetsu Buffaloes. Canseco was drafted as a pitcher by the New York Yankees in the second round of the 1983 Major League Baseball Draft. In stark contrast to the prolific, power hitting career of his twin brother, Ozzie never hit a major league home run. 50 queries in 1.656 seconds.